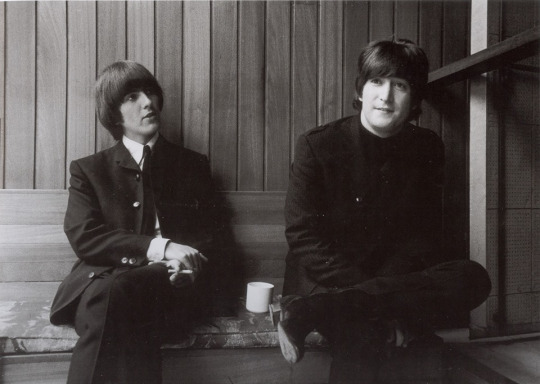 May 7th, 1965. 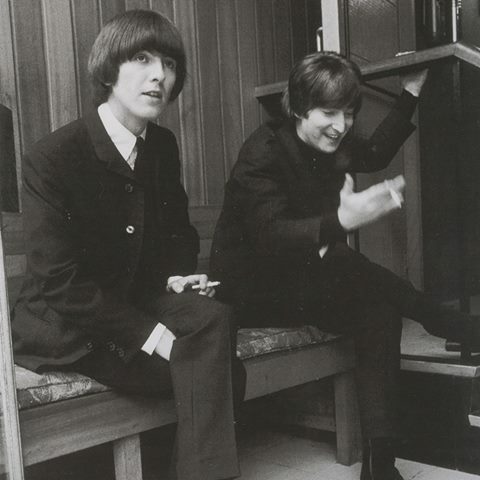 John and George on the set of Help! Twickenham Film Studios, London.